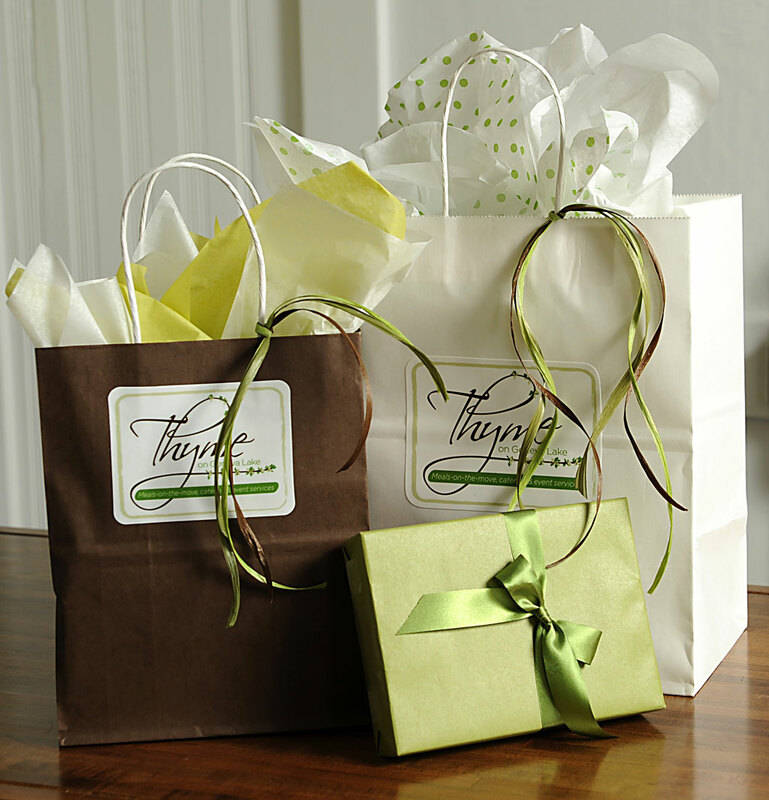 Surprise someone with a gift certificate from Thyme on Geneva Lake. It’s a wonderful “thyme-saving” gift, great for new parents, new neighbors, and busy families. It’s a thoughtful gift, ideal for people that don’t like to cook or someone that needs a helping hand. And, it’s also perfect as a thank you gift, or for any gift-giving occasion. The gift of a home-cooked, ready-to-eat meal puts a smile on people’s faces. Gift Certificates can be purchased in any denominations, and will be happily wrapped for you upon request. Gift certificates can be used for Meals-on-the-Move or for any of the wonderful items in the Thyme gift shop. Call or stop by for more information on this perfect gift.